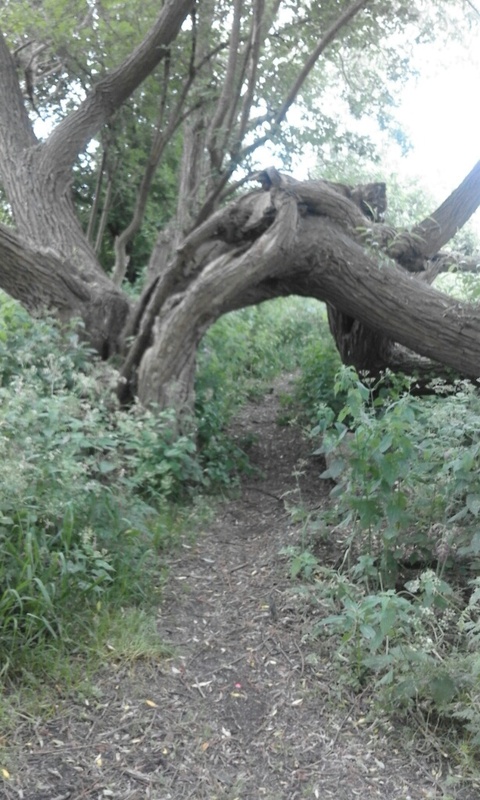 The locks on the Stort are 13ft wide. 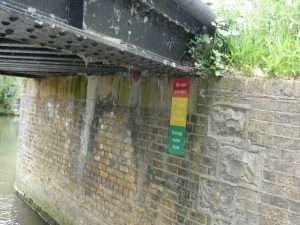 This makes things rather inconvient for narrowboats because you cant fit two in side by side. Also each gate is too narrow on it’s own for a boat to enter or leave. So both gates have to be opened even for only one boat. This means a lot of walking round from one side to the other for the crew. Even though we knew we only had a short day today we still set off about 8 o’clock. But after we stopped for lunch at 1:30 we decided to stay here for the rest of the day. We dont need to go further and suitable moorings are had to find. We stopped just below Lower Lock the last (or first if going up) lock on the Stort. 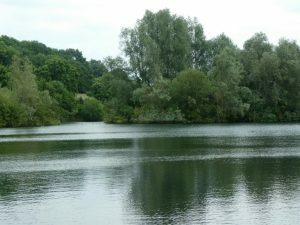 Adjacent to the lock is Nazeing Mead, a nature reserve made from flooded gravel pits. We went for a wonder around. This whole area is brimming with wildlife. It’s hard to think that we are only a few miles from London. 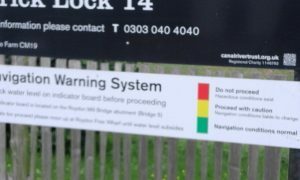 At Brick lock there is a sign warning boaters to check the indicator board underneath bridge 5 regarding the river level. 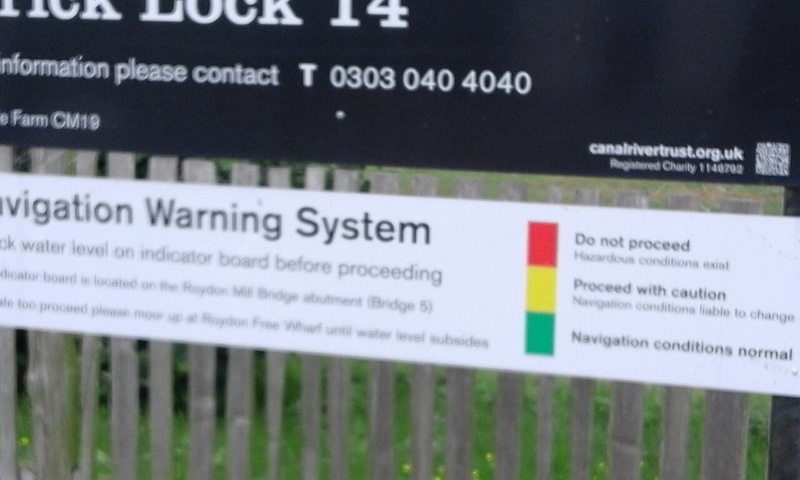 But when you get to bridge 5 the level indicator makes no sense. How can the ‘normal water level’ be that high. The only boat to get through at ‘proceed with caution’ level would be a very small canoe!